Gold has reached a record low in popularity and sentiment. This is a rare moment, as I’ve highlighted previously. 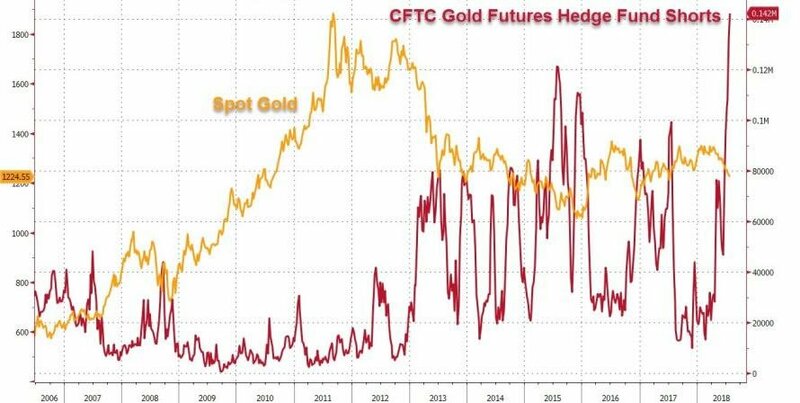 Now, for the first time since Wealth Research Group launched in early 2016, gold, the physical metal (the spot price) and the gold mining shares are simultaneously CHEAP. This is a set-up, which resulted in 12 stocks, which more than doubled for us in the space of eight months between January and August of 2016, with the biggest winner rallying over 800%. Since August of 2016, when the sector topped-off, we’ve been fighting gravity, though. Diversifying out of gold stocks, shorting the gold ETFs, dollar-cost averaging core opportunities, and keeping positions sizes moderate, are all necessary strategies used to survive this bear market. Now, we stand at the heart of the beast, and the next few months will either result in the complete annihilation of this sector into the dark ages, with prices retreating to the 2015 cold winter at $1,053 per ounce, or gold buyers swooping in and lighting fire underneath this sector, proving the bottom is in. No matter which way we go, it will be epic. Wealth Research Group has a price target of $1,704 for gold, and we see higher inflation rates creating the backdrop for gold price rallies, along with poorer stock market performance, causing a transition into commodities, which could take months, still. We are at a standstill at the moment. As the chart above shows, the sentiment is horrible. Gold is as hated by investors right now, as uranium was in the early 2000s, right before it rose 700% in price. This is not the only reason gold could be ending his Via Dolorosa. The Treasury market is going to start its most ruthless transformation ever. The Social Security Trust Fund, which is the largest holder of U.S. debt with $2.8T in reported notes, is at a deficit! You know what that means – they must start selling, and with more Baby Boomers retiring, the liquidation will only intensify. The Federal Reserve is next in line – it holds more debt than China’s government does, which means that the three institutions, which allow the U.S. government to run massive deficits are all SELLING or not increasing purchases. Rates are going higher, then. Yes, investors want higher rates before they sell FAANG and purchase government debt. The 10-yr bond could double to 6%, before this thing is over. Higher yield means lower multiples for stocks, but with the economy in full cylinder mode, 5% CPI numbers could accompany the 6%, which is the perfect environment for commodities. 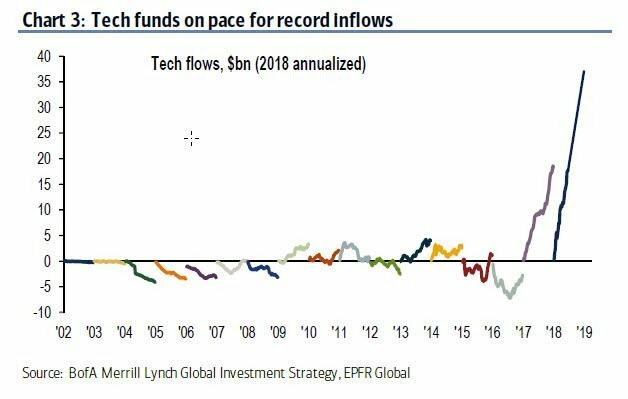 While the public is sending fresh cash into the tech sector, the people in the know, insiders, are selling, like running for the hills selling. In the first part of this year alone, the FAANG insiders will report over $5B in sold stocks. They’re taking profits because they now the party is over. 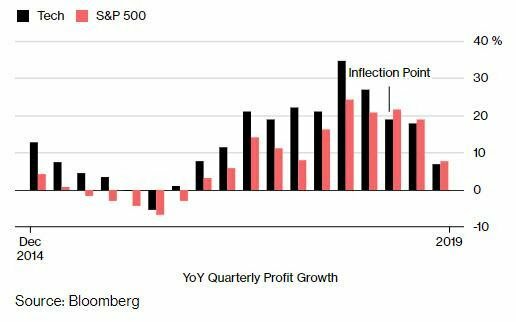 There is a limit to their level of profitability. For years, these tech companies have brought investors massive returns. I’ve enjoyed the huge gains offered by Intel and Microsoft, for example, but the future includes slow growth. Tech stocks are peaking. Like Wealth Research Group published last week, without FAANG stocks, we would already be in a bear market. One last note about inflation – many people don’t understand how those, who work, can’t get by in today’s America. The reason is insidious inflation. Entry-level workers, who were able to join the middle-class in the 1940’s, 50’s, and 60’s, thanks to a robust post-WW2 economy, are getting screwed by the banksters since 1971. It’s not taxes, which are killing them. It is the continual erosion of the USD over time. Though the nominal wage has increased, its purchasing power has subsided dramatically. We’re talking about an 80% cut. 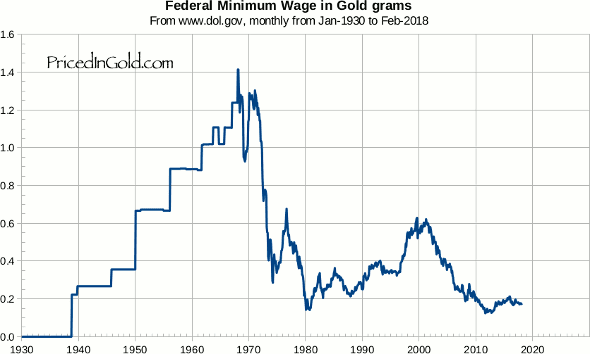 Minimum wage workers have not converted fiat currency into precious metals, so they have remained poor over the decades. Gold Market Shakeout, MASSIVE PRICE SUPPRESSION Famed Trader Mark Leibovit Tells All!